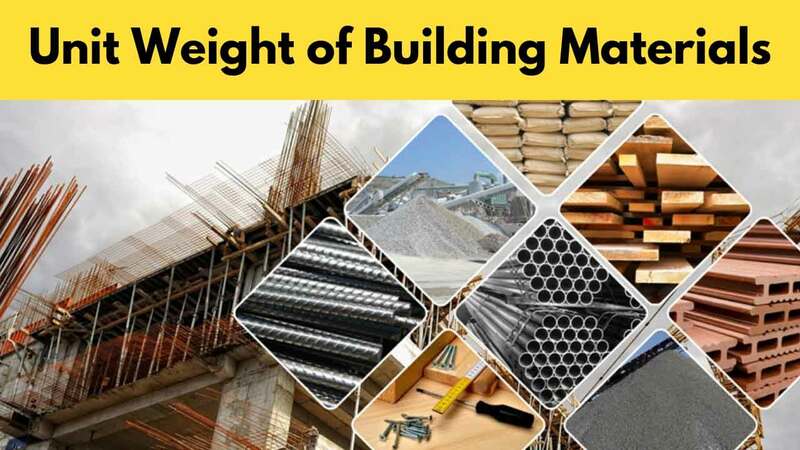 In today’s article, you are going to learn the unit weight of different building materials used in construction. Before starting you should know that what is Unit weight? The specific or the unit weight is the wight per unit volume of a material. If you are viewing this page from mobile, and not seeing all the content of this page. Then please scroll to the left to see all the content. Unit Weight of Different Building Materials. Following is the list of 75 different building materials and their unit weight in Kg/m3. So, That’s all for the List of Unit Weight of Building Materials. If you have any questions/suggestion or I missed something, then please let me know in the comment section. Thanks For Reading this Article (Unit Weight of Building Material). Please Don’t Forget to Share it. Difference Between Plinth Beam and Tie Beam. Construction Specifications; Its Types, Importance. Where alcohol is used in construction?